Home / News / Karanvir takes Salman’s suggestion seriously, fights back! 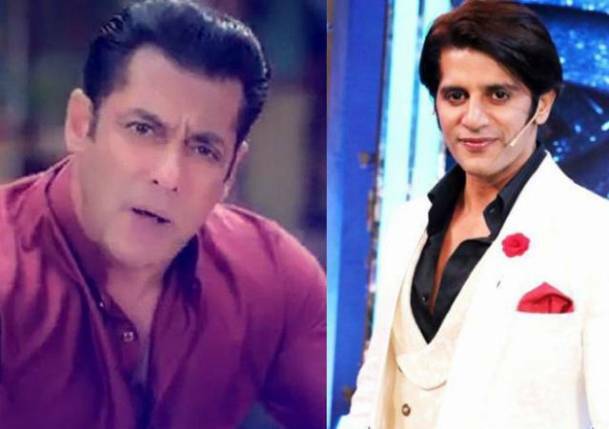 Karanvir takes Salman’s suggestion seriously, fights back! Actor & a family man, Karanvir Bohra being one of the successful faces in the Bigg Boss house has been at the receiving end of mixed reactions while his stint in the reality show this season. With a massive fan following & popularity, audiences are appreciating his calm & composed demeanor at the same time hoping for him to be brutally honest. ‘Weekend Ka Vaar’ this time around was action packed. The host Salman addressed the issue & also pushed Karanvir to take charge of the situations & the house. Karanvir being his sensible self, took it in his stride & altered his attitude suitable to survive the madness in the coming weeks to follow. In the Bigg Boss Sunday ritual, Sultani Akhada, Karanvir was pitted against Deepak & won the round hands down much to Salman’s delight as he’d previously wanted Karanvir to open up & play the game rightfully & not holding back. It was interesting to watch Karanvir talk with controlled aggression & conviction stating obvious points making him the clear winner. Karanvir is proving to the the dark horse & most likely to be the game changer now. Only time will tell but it’ll be interesting to see him in a different avatar.